It is hard to believe the 2017-2018 academic year has come and gone! We experienced many great accomplishments in the Division of Student Affairs this year and made significant progress towards several of our initiatives. I hope you will take a few minutes to read about some of our updates in this quarter’s newsletter. This spring was certainly exciting for the division. Not only did we welcome three new inductees to the Steve and Sandi Adams Legacy Hall of Fame and celebrate the 5th anniversary of the ceremony, but we also held various end-of-year ceremonies and cultural graduation celebrations. Student elections were held in April, ushering in new student leadership for the next academic year. You can learn more about our incoming student trustee, Sarah Aguilar, in the story below. Illinois State and the Division of Student Affairs was also proud to announce a major gift commitment to Fraternity and Sorority Life from generous alumni, Eric and Karin Burwell. Their gift is part of the University’s $150 million comprehensive campaign, Redbirds Rising: The Campaign for Illinois State. The Burwells’ gift creates a new fund, Greek Areté, and contributes to the goal of raising $500,000 in support of Fraternity and Sorority Life. We look forward to further strengthening the Greek experience for thousands of students and alumni through this gift and future contributions. As we look to the summer, we are already gearing up to welcome our new class of Redbirds. The fall semester will be here before we know it! Be sure you save the date for our Homecoming tailgate on October 13! In the meantime, we hope you will continue connecting with us on our award winning social media platforms to stay updated with what is happening on campus and in the division. Wishing you an enjoyable and relaxing summer! 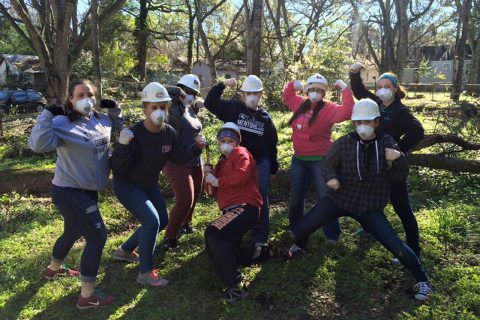 Alternative Breaks alums and any alumni interested in civic engagement are invited to return to Bloomington-Normal and Illinois State University June 29 - July 1 for our first Alternative Breaks Alumni Trip. Illinois State alumni and Bloomington residents Eric and Karin (Struck) Burwell have made a multi-year major gift commitment to support enhancement of the University’s fraternity and sorority leadership initiatives. 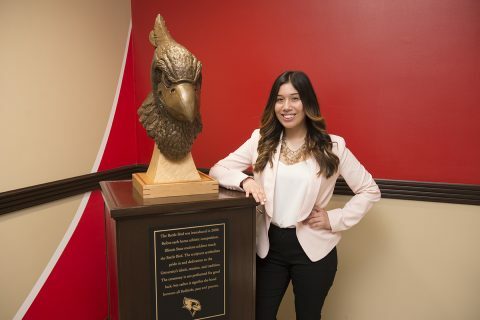 Sophomore psychology major Sarah Aguilar's goal from a young age was to help people in need, which she hopes to continue in her new role as the incoming student trustee on the Board of Trustees for Illinois State University. 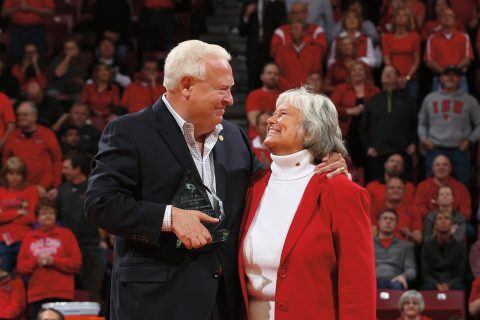 A marketing pioneer, an advocate for fairness in the marketplace, and an award-winning author are the newest inductees to the Steve and Sandi Adams Legacy Hall of Fame at Illinois State University. 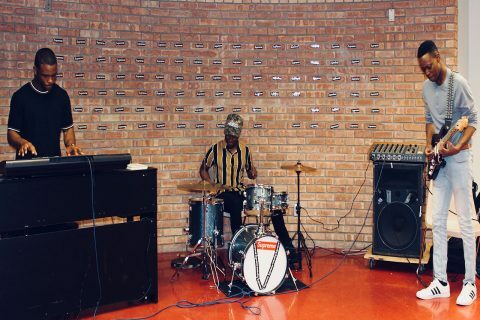 The Illinois State student band VisionMade flew to Austin, Texas, to perform at South by Southwest (SXSW), an annual multimedia conference that showcases film, music, and technology. 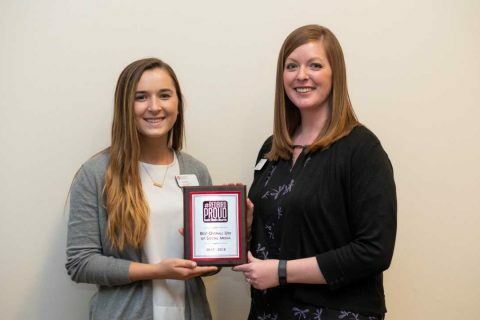 The fourth annual #RedbirdProud Social Media Awards were held on April 26, 2018, to honor the great work of Illinois State’s social media managers. The Student Affairs Alumni and Friends Newsletter is an opportunity for both our alumni and supporters to keep up-to-date on news within the Division of Student Affairs. Student Affairs alumni are unique and not easily defined. 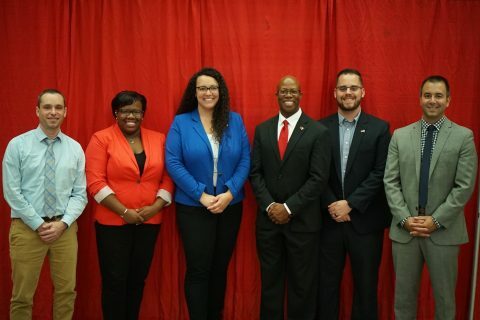 While they didn’t technically graduate from the Division of Student Affairs, they did have an impactful experience in one or more of the twelve departments of the Division as a student. 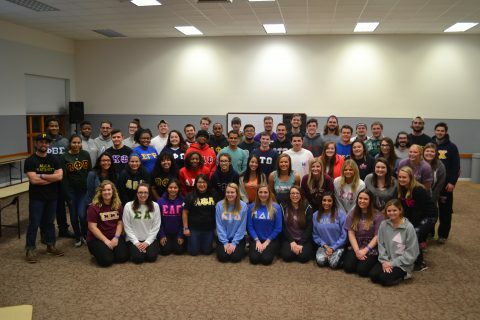 From being a RA, to Alternative Breaks participants, to campus dining staff, to sports club members, they are alumni of Student Affairs and our supporters help these programs continue to thrive. So let’s connect! Share your stories, keep in touch, and remember you are all part of the Student Affairs family.